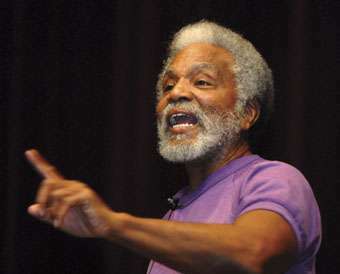 In the middle of September last year, in an excellent turn of events, an American (and not just any old American, but a Nebraskan state senator of 38 years, one Ernie Chambers) decided to file a lawsuit against God, seeking an end to “fearsome floods, egregious earthquakes, horrendous hurricanes, terrifying tornadoes, pestilential plagues…” allegedly caused by the rumoured deity. He states that he filed the suit primarily to make a point that “Anyone can sue anyone they choose, even God” in the face of proposed legislation which would enable seemingly-frivolous cases to be thrown out of the legal system before being heard. A pretty major issue and yet further erosion of civil liberties and openness (who decides what’s frivolous?) and definitely one worth highlighting, and this lawsuit was a very good way of getting attention, so hats off. Although, it does also highlight how ludicrous such systems are, if you can file suit against a magic invisible man, and actually get it to the stage where a Judge gets involved. Judge Marlon Polk brought the whole thing to an end by deciding that, as the rumoured God had no address, no papers could be served, and the case was dismissed. A legal wrangle between an omniscient omnipresent entity and a 71 year old man would’ve been an excellent thing to witness. Who would’ve represented the invisible party? Would Jesus have finally returned, and come to his defence? Perhaps the Pope (although I hear from reliable sources he’s Jewish)? Maybe Cliff Richard?